JIM VAIKNORAS/Staff photo The Emperor Norton's Stationary Marching Band performs at the American Music & Harvest Festival at the Spencer-Peirce-Little Farm in Newbury on Saturday. Bands early in the day performed inside due to the rain. 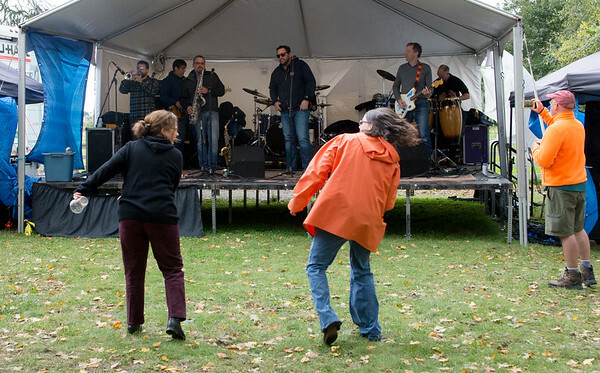 The event which featured band throughout the day, benefited area education foundations.